MotoVlogging is definitely a different style of vlogging compared to what we usually see online. While it definitely is possible to use a DSLR camera or a point-and-shoot like other vloggers online, it might not be the most practical choice for a MotoVlogger. You need the best Motovlog camera you can get. The most practical type of camera you should use as a MotoVlogger is a trustworthy action camera. They’re easy to use, set-up and usually offer more protection, and are more durable than other cameras. Action cameras are reliable and capture footage without obstructing the MotoVlogger’s view. They also have a wider range of view, capturing more for your MotoVlogs. To help you all out, we are going to discuss what we think are the best Motovlogging Cameras that you should consider buying. Keep in mind that some of the cameras we are going to discuss are situational. This is very important when it comes to your MotoVlogging action camera. You want to have a camera that has good image stabilization features built-in. MotoVlogging is an active style of vlogging where you’ll be capturing a lot of footage in unstable situations, as bikes can vibrate, and be very shaky. Capturing this footage with good stability also makes it easier for the viewer/audience to watch. Another thing that aspiring MotoVloggers may desire their action camera to have, is the option of filming in 60fps. While it is possible to film your MotoVlogs in 30fps, it has almost become a standard to film MotoVlogs in 60fps, with a resolution of at least HD 1080p. Recently, there has also been a bit of a move towards 4k video as the ideal video quality that MotoVlogs should be filmed in. Filming your MotoVlogs in 60fps will give your videos a much smoother look, and will also give you the opportunity to include cool slow motion shots, as 60fps footage retains smoothness even when slowed down. Having 60 FPS footage will be more appealing to the audience, and give you an edge in terms of video quality. Action cameras can record audio, whether it’s your voice or the sound of your bike while you’re riding, however, it won’t beat the quality of audio you’ll get from using an exterior microphone. In our article on the best microphones for motovlogging, we talked about what we believed were the best exterior microphones for MotoVlogging. You easily plug an exterior microphone into most action cameras, but some cameras do require adapters to be compatible, such as the popular GoPro Hero Cameras. 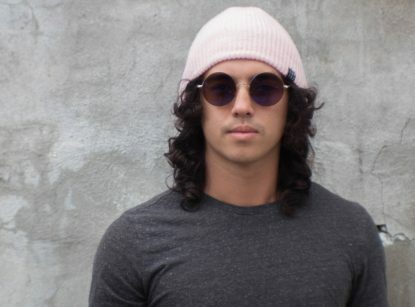 Using an exterior microphone also makes it easier for you to speak while MotoVlogging as you can place your microphone closer to your mouth. You also should use exterior microphones because they offer more protection of wind noises. When looking for a good camera for MotoVlogging, you want to make sure that the camera is durable and waterproof. Most cameras offer extra housing options to further protect the camera from drops or different types of weather conditions (snow, rain, etc.). We would highly recommend you to buy the extra protection just to be safe. It’s also nice to have a low profile camera. Cameras of smaller size are easier to set up for MotoVlogging and are easier to travel around with. It won’t become a distraction wherever you decide to place it (On your helmet or bike). When it comes to the best overall MotoVlogging Camera that we would like to recommend, it would have to be the GoPro Hero 7, the newest addition to the GoPro family. The GoPro Hero 7 has built-in stabilization technology that predicts your movements and corrects camera shakes to smoothen the footage. This is great for any MotoVlogger who likes to place their main camera on the front side of their helmet. You won’t have to worry about moving your head around too much while riding because your video footage will remain nice and stable. This action camera is also very durable and waterproof, even without any housing (Protective Case). It runs a 1220mAh lithium-ion rechargeable battery, which means if you already have a battery from a GoPro Hero 5 or 6, you’ll be able to still use them with a GoPro Hero 7. Another cool feature of the GoPro 7 is that you can film in 1080p 240fps, making it possible for 8x slow motion. There’s also voice control features that you can use with this camera for hands-free usage. Overall it’s a great Motovlog camera that will capture excellent footage for your vlogs. Another action camera that’s great for recording MotoVlogs. Sony’s approach to their action camera is different from their competitors. Instead of going with the box-like design, they went for a more compact camcorder design. The Sony FDRX3000 has amazing stability with its Balanced Optical SteadyShot image stabilization. This type of stabilization technology is different from Digital Image Stabilization, as it cuts the effects of camera shaking internally. The camera’s lens and sensor are joined and moved together, acting as one floating unit. This makes it easier to shoot beautiful, clear stable images while traveling, bike riding, and in other active situations. This action camera also films in 4k, however only in 30fps. You still can film in 1080p 60fps all the way up to 120fps for smooth slow motion. If you wanted more slo-mo, you can bump it up to 240fps, but only in 720p. You can easily install an exterior microphone onto this camera without having to purchase any adapters. You can also use the built-in microphone. It captures audio clearly while also having noise reduction technology that reduces the impact of wind interference/noises. The camera is also capable of filming time-lapse videos, which can be great additions to your MotoVlogs. It has built-in Wi Fi so you can connect to your smartphone directly using Sony’s app. The camera is also built to be durable and handle harsh conditions, but I would highly recommend getting the Underwater Housing just in case you find yourself riding in heavy rain conditions. This is a very good choice for any MotoVlogger looking to get a new action camera that’s a little different from the traditional GoPro box shaped design. If you’re looking for a great MotoVlogging Camera on a budget, then the YI 4K is an excellent choice. Some say that the YI 4K is in direct competition with the popular GoPro Hero series. With its similar box shape design, this camera is easy to incorporate into a MotoVlogging set-up and delivers high-quality video footage. It’s a camera that competes with all of the top action cameras in the market while also coming in at a cheaper price. The YI 4k can film in UltraHD4k at 60fps which can give you the edge as a MotoVlogger in the Motovlogging space. The camera is also good at limiting its battery consumption, giving you more recording time, even supporting up to 70 minutes of 4k 60fps filming. This camera also has impressive image stabilization with its Electronic Image Stabilization (EIS) technology. You’ll get high-quality and stable video footage for your MotoVlogs, again at a lower price compared to other action cameras. Overall an excellent action camera to consider buying for your MotoVlogs if you’re shopping with a lower budget. Now if you’re someone who hasn’t started MotoVlogging yet, but wants to try it out, you’re probably looking for something that’s not much of an investment, but still gives you the opportunity to start. Now do keep in mind that you really do get what you’re paying for when it comes to camera equipment for your videos. The first entry-level MotoVlog camera we would like to recommend is Sena’s Prism Tube Action Camera. This camera is an excellent camera for anyone who wants to try out MotoVlogging before fully committing to more expensive gear. Sena’s Prism Tube is a versatile camera that has a low profile design. The camera films in 1080p 30fps and has a 125-degree field of view and dual internal and external microphones. It records clear audio and even eliminates ambient noise interference. Again, this is an action camera that we would only recommend to people who are thinking about giving MotoVlogging a try. You won’t have the highest quality MotoVlogs, but it does introduce you to the MotoVlogging lifestyle. If you find out that you love to MotoVlog and want to upgrade to a better camera, then we have the other cameras that we have discussed in this article above. Once you’ve upgraded to a better camera, you can still find use with this camera as a dash cam for the days that don’t involve you MotoVlogging. This is another entry level MotoVlog camera that’s great if you’re more on a budget. The AKASO EK7000 4k action camera is considered one of the cheap GoPro clones that still shoots high-quality video footage. With this camera, you can film 1080p 60fps, and the video quality looks good. You can film 4k video however, you can only film 4k at 25fps, so it’s something to keep in mind. The camera has a 170° wide-angle lens that enables you to capture a wider angle of view, which is great for MotoVlogging. It’s a very affordable camera that comes in a nice bundle. One thing worth mentioning is that the bundle comes with 2 sets of batteries and a water protective case. This bundle makes it easier for anyone who’s thinking of starting a MotoVlog. Something to keep in mind is that this camera does not have image stabilization so your video footage won’t be as stable compared to using higher priced action cameras. Also, keep in mind that the camera’s batteries are smaller and only have between 30-40 minutes of use. You do get 2 batteries, however, with the shorter battery life, this means you’ll switching out batteries more often. Again this a great camera to start with if you’re still trying to figure out if MotoVlogging is for you. You won’t get the best MotoVlogging footage, but you will get an idea of what it is like to MotoVlog. From there you can plan any future upgrades to your MotoVlog set-up. Well there you have it, those are the best MotoVlogging cameras that we would like to recommend. 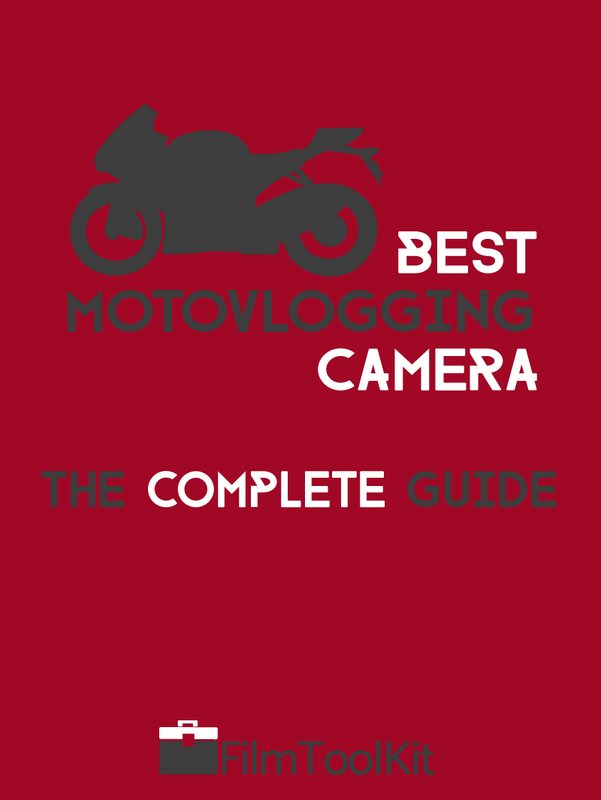 Again, some of these recommendations are situational, but we do believe that they are all high-quality cameras that will help you with your MotoVlogs. Remember to have fun MotoVlogging and always ride safe!